Geek, Nerd or Dweeb? 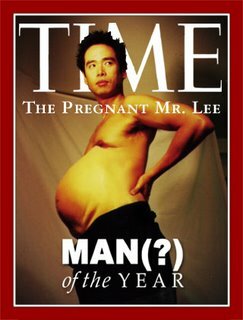 : Pregnant Man? Is it for real? Or am I just haluscinating? When I hopped into this site, I'm not pretty sure whether should I or not, believe it. aik? berapa lama dia ni pregnant? i read about last year. or is it last-last-last year?? takkan tak beranak lagi kot?? Quite some time lah. No baby yet ke? I've read the whole thing, but couldn't see the video. He even have the pregnancy journal. Freaky! azq.. kot yer pun nak beranak cemana? lagi pun, mana dtg nutrients for the baby? males asking for the same gender equality that the females fight for.. haha..
i actually dun know what am i saying..
long time no see. are u goin to ekin's wedding? jom pegi wedding dia nak?